I think the cover gods may be trying to kill me with these three. Seriously, cover gods? How long am I to drool over these pretties before they are mine? They each look so deliciously foreboding. I want to know what these girls are running from, hiding from, suspicious of . . . and I want to know now. So Lenore and I saw this book at the Chronicle Booth at BEA and were immediately struck by the cover. Trust me, it's even more awesome in person. But, alas, they had no advanced copies to dole out. It did stick in my mind, though, as a great example of title/art synergy. And I love the way the girl's silhouette and the author's name match. Billed as "not your everyday coming-of-age novel," I am very much looking forward to finding out more about Evie and the body found in the woods. Due out today! The Book Smugglers got the scoop on this gorgeous cover the other day and I've been feeling all jumpy about it ever since. It helps that Kaz is such a delightful tweeter/blogger/author. This is her debut YA novel and it features a main character by the name of Donna who has iron tattoos, alchemist parents, and magically enhanced superstrength. Do you even need to ask why I'm so excited about The Iron Witch ? I didn't think so. Mark your calendars, folks. Due out February 1st. I ran across the cover for this one awhile ago and have to admit to liking the stone arch, the black cape, and bare feet. 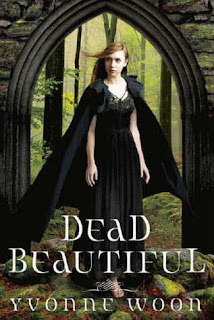 Now, Dead Beautiful does involve a couple of mysteriously dead parents, a Gothic boarding school, and a hottie with a secret, so it's sixes, I suppose, as to whether or not it will float my boat or sink in a disastrously drawn-out manner. I'm wary but I'm giving it the benefit of the doubt and myself permission to be cautiously excited about the possibilities. Due out September 21st. Honestly, I wasn't sold by the synopsis of The Space Between Trees - but the cover? Might just make me for over the cash anyways! I've been feeling these covers too. The Space Between the Trees's cover is what first brought my attention to that book a while ago. It's probably my favorite of the three, but the novelty of Iron Witch's cover has my eye continuously wandering to it today. But seriously, you know how much I <3 your blog and love talking books with you. It's truly a huge thrill to see TIW featured alongside two other beautiful covers. Thank you! I would have to agree that those covers are so pretty! 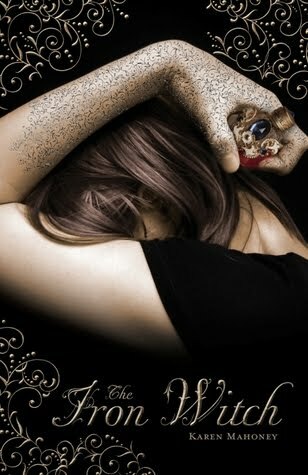 All the books sound great and I really love the Iron Witch cover! And speaking of The Iron Witch, did you get a look at that excerpt or what? How freaking awesome was it? I generally dislike excerpts, but that was just...gold. The Space Between Trees is out already? I'll have to order it! The design is so gorgeous. 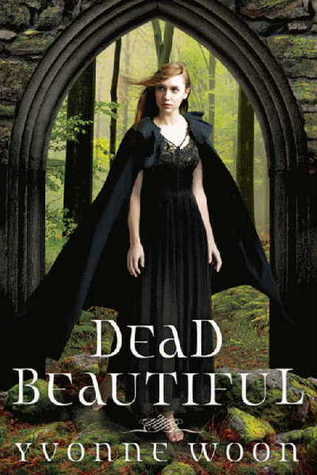 The Dead Beautiful one is my fave, but I can understand why you like them all! The Iron Witch cover is gorgeous, I'll definitely be looking out for that one. Sandy, I really do, too. Just really does its job. And stylishly so. Kay, it's quite brief, the synopsis. So I'm not really sure what to think. But I'm going to give it a go. Jacqueline, oh, I know. I couldn't believe how gorgeous it was when I first saw it. Still can't! Chachic, definitely. They look nice up there side by side. Jenn, you're right. It does, lately. That's why I desperately hope the insides are as good as the out. Heather, how could you not? It's sooo pretty. Steph, exactly! I loved the excerpt and can't wait to meet Donna and Navin. Lenore, yes! I thought we'd have to wait longer as well. Tia, I'm glad. I really do love the girl in the black cloak framed in the archway. So cool. I love the sound of all three of them. Thanks for sharing, Angie. You do have a knack for finding gorgeous covers, don't you? Hopefully the insides are just as good! Cari, I'm glad you think so too. Lizzy, ah, you bring me the best art. The Alanna one was hysterical. Thanks for that! Emily, I completely agree. Simpler is so much better. All three of these books look and sound amazing. I'm particularly fond of the title The Space Between Trees. Instantly got me curious right there.